What an amazing image!! New Horizon's first beautiful photograph of Pluto, that it took on it's final approach. This image was the last taken before the antenna dish had to be turned back towards the planet, so that it could start collecting all of it's data for the final approach. (The probe can either orient itself towards Earth to send data, or point towards its subjects to receive data. It cannot do both at the same time). Hence NASA decided to send this last piece of data back to Earth, just in case the probe was lost as it hurtled through the Pluto system. 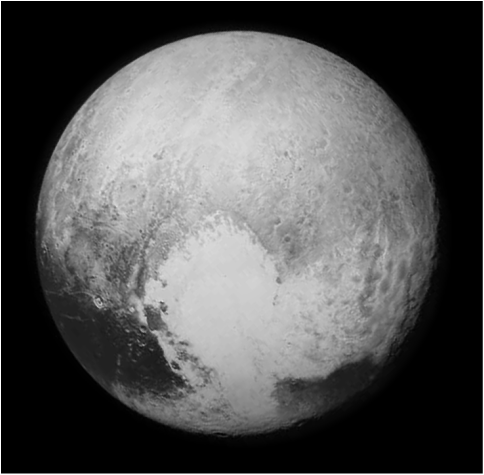 The amazing first image of Pluto, captured by the New Horizons probe.